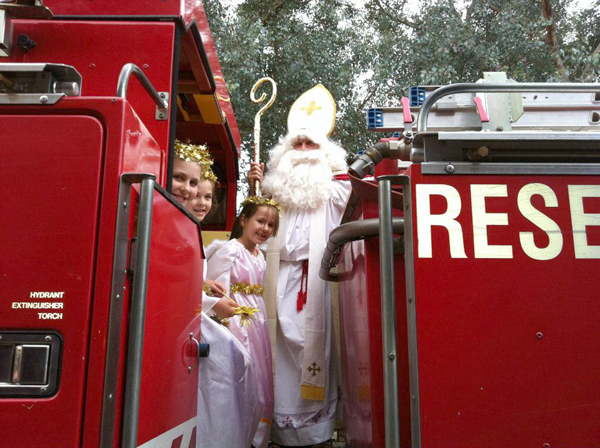 St. Nicholas Day (Miklavž), December 6, is the special day of gift-giving for children. 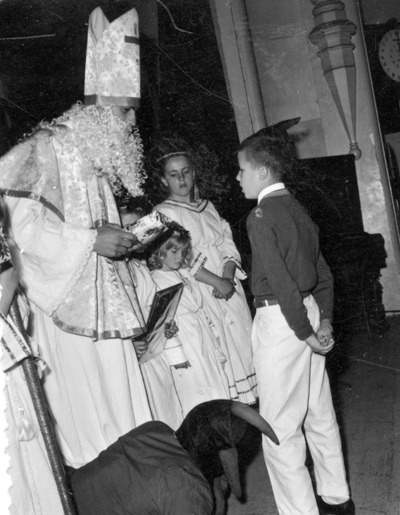 The night before the Feast of St. Nicholas, children put a plate, or a basket or a shoe outside the door, hoping it will be filled with treasts of fruit, candies, coins, and small toys. 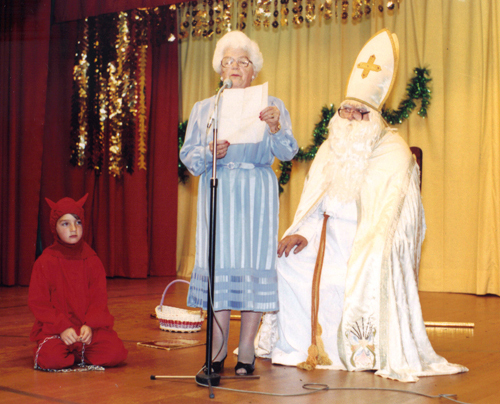 The saint’s companion Parkel (devil) may leave coal or cinders and switches for naughty children. 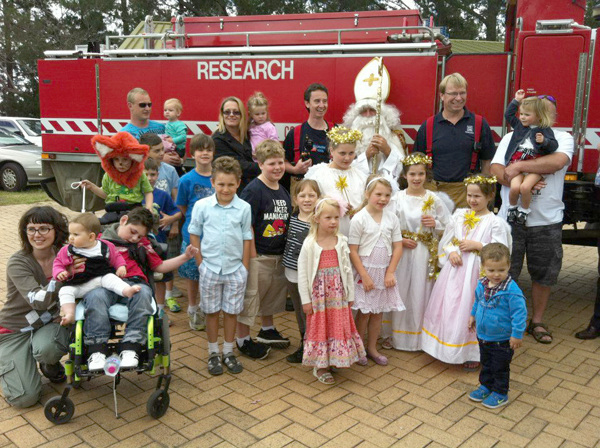 Or more likely, a mix of both, as most children behave in both good and bad ways. 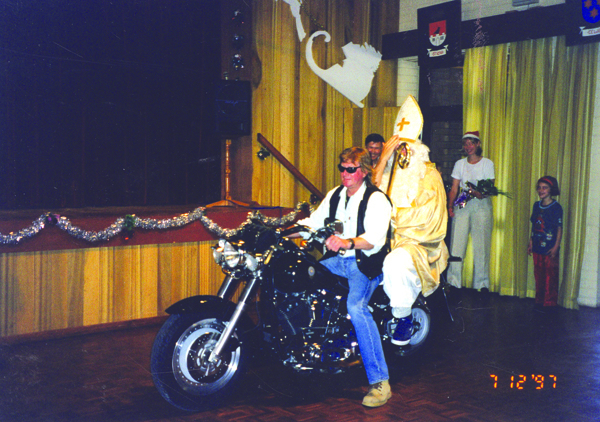 The feast day itself usually begins with Mass and the priest joins in the later festivities. 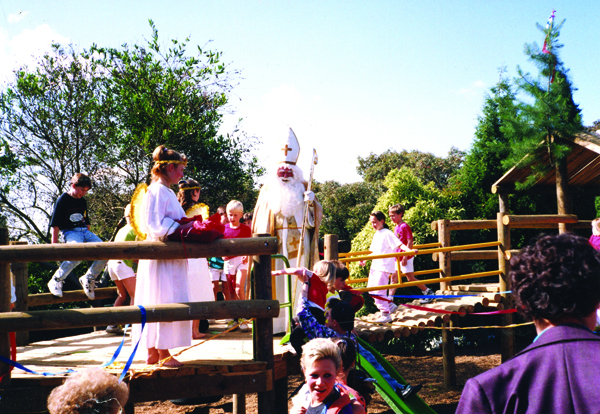 The choir may sing with the children joining in. 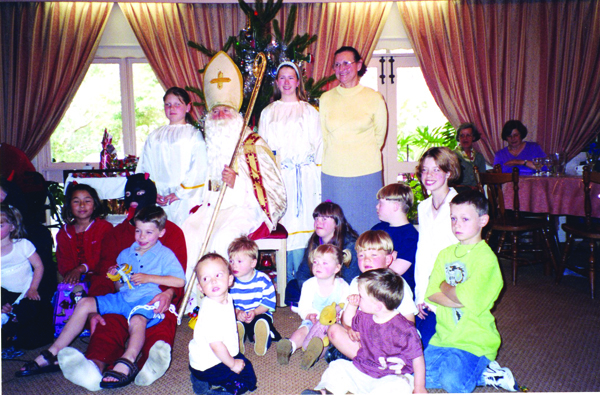 St. Nicholas appears, his staff decorated with ribbons and flowers, carrying a big white book with the names of good children. 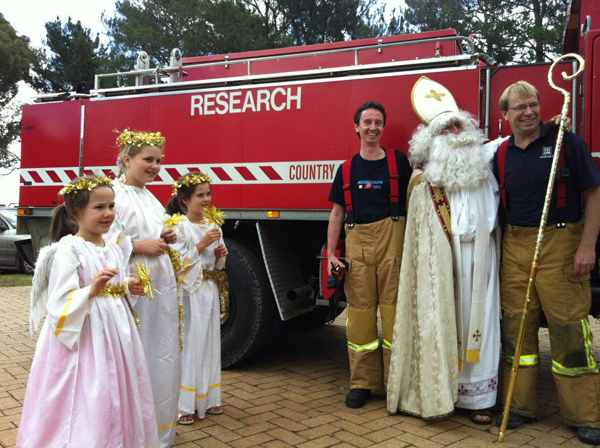 Angels come along to assist in giving gifts and small devlis carry chains to frighten naughty children. 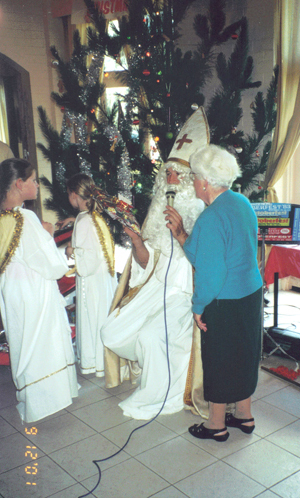 St. Nicholas reads the children’s names from the book, praising their good behavior, and giving the gift an angel hands to him. 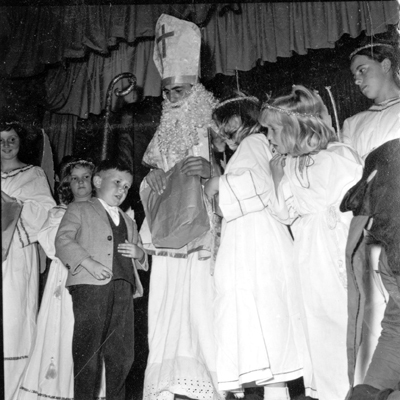 Then St Nicholas tells the not-so-good children to be better and kinder in the next year, while the small devils jump around, rattling their chains frighteningly. 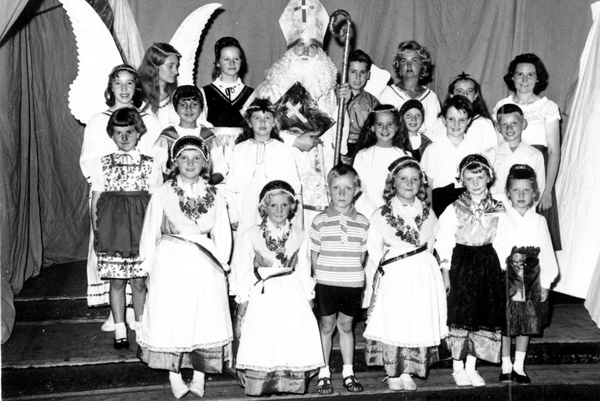 After the children promise to behave in the future, they, too, receive a gift of sweets. 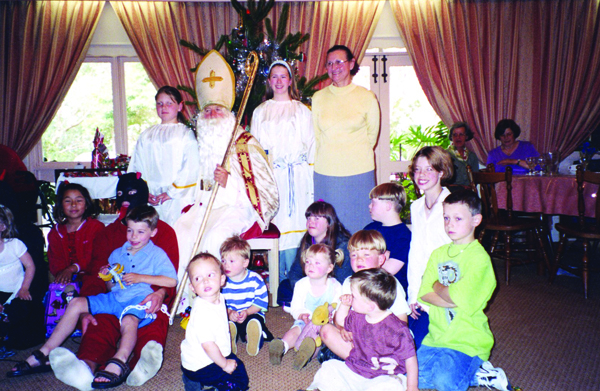 St Nicholas comes visiting children in Slovenian churches or at the Slovenian clubs, accompanied by angels and devils. 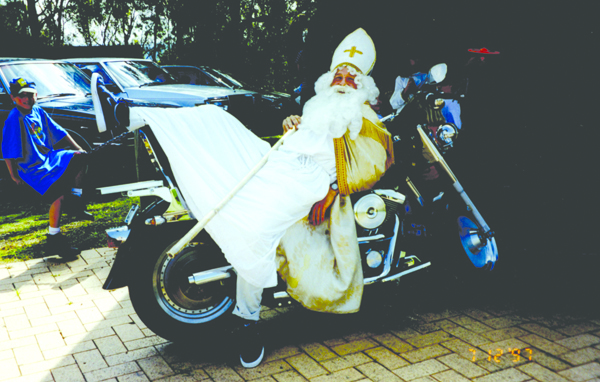 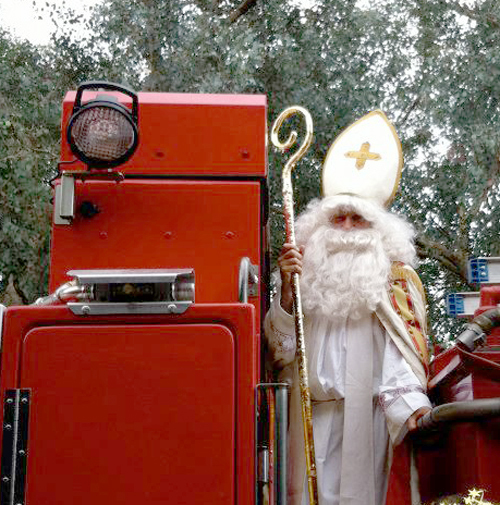 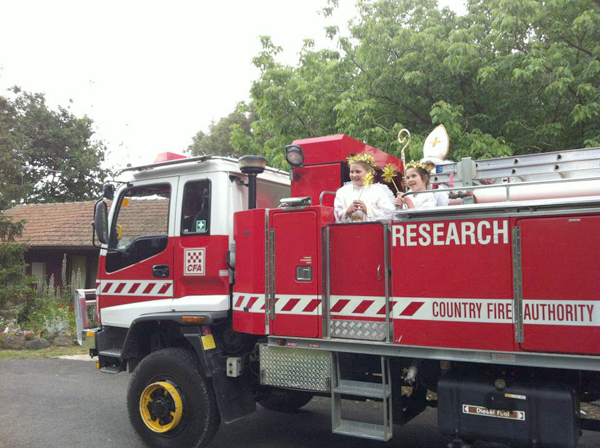 In past few years, St Nicholas at the Slovenian Association Melbourne arrived either on a motorcycle, or on a local Fire Brigade truck. 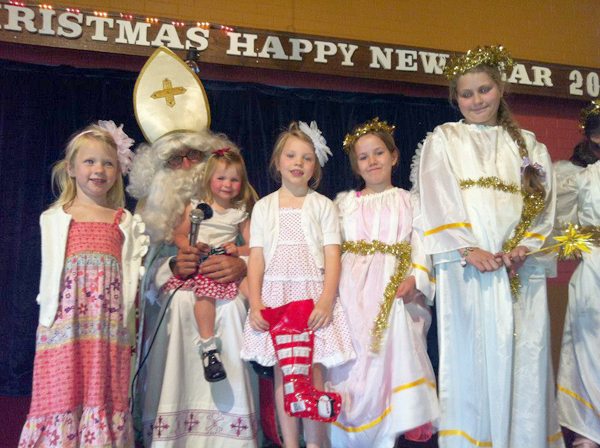 Angels help St Nicholas giving presents to the children and devils frighten the children. 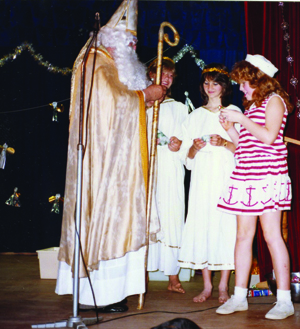 In previous years there was a cultural program before the arrival of St. Nicholas, who always had a good word for the senionr members of the community as well, giving them small gifts. 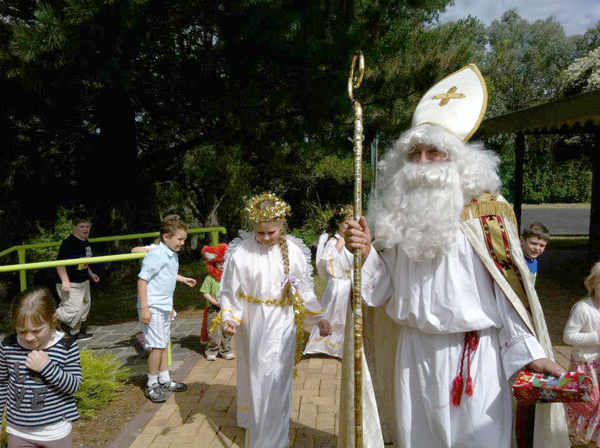 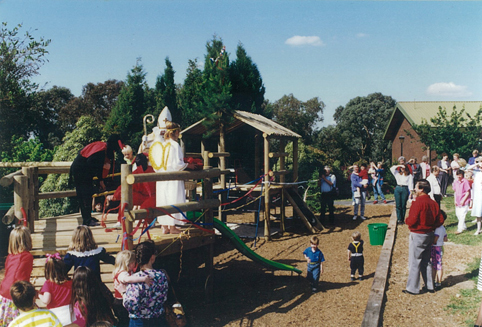 St Nicholas at Slovenian Association Melbourne: First was Ivan Urbas in 1955, followed by Ivan Mejač and since 1996 Andrew Fistrič is St Nicholas at Slovenian Association Melbourne and at Slovenian Religious and Cultural Centre at Kew, Melbourne.